Before the rise of television, home entertainment was centred around the radio. The whole family would gather to listen to plays, news, sports and music. It became fashionable to combine the radio with a gramaphone in one massive unit, and thus the Radiogram was born. This was truly a significant piece of furniture, and the wood would be kept polished, while the top would be the platform for ornaments and family photos. The significance of the radiogram to this forum took several forms. Firstly, the music came through very clearly. Although transistor radios were a breakthrough in the ability to take music everywhere, the radiogram, with multiple speakers gave a true "High Fidelity sound. And when listening to music on Radio Luxembourg the roof-mounted arial gave good tuning. Another point was that those speakers, which were usually a mix of "woofers" and tweeters" allowed budding musicians to really hear the tunes they were trying to learn. This was especially important for bass players, as recording studios usually diminished the bass in the mix, so as to prevent the needle jumping off the record due to vibration. 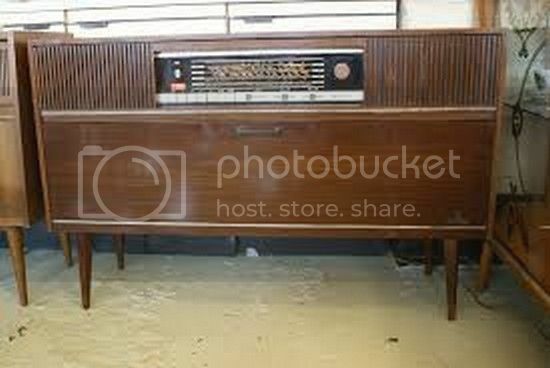 A radiogram allowed those eager group members to really hear the bassline. 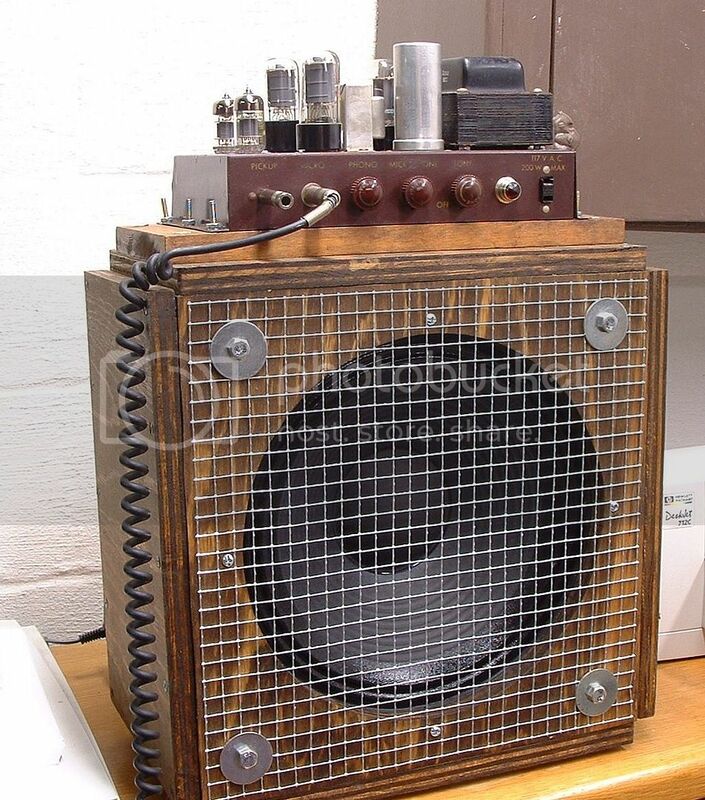 Many novice guitarists used the family radiogram as their first amplifier. In my own case, while still at school I bought my first guitar, a Rossetti, from a schoolmate; then subsequently added a pickup. My Dad, who was always tinkering with electrics, wired the PU into our radiogram, allowing me to be both loud and awful. Mark Knofler was just one of many stars who started by being plugged into the radiogram. Finally, many radiograms were cannabalised to become homemade amps for cash-strapped groups. Speakers and valves from a radiogram were the basis of many such constructions. Times change, and the equipment available today is superb. But, in my opinion, the radiogram has a significant place in the history of pop music. Very true. I'm from your kid's generation so we never had that. By the time I started playing, we had a 'modern' component stereo but my wife and I picked up an early '60's Koronet for nostalgia purposes and to play the 78s that I have a pile of. Yes, everything works perfectly. Friend: My favorite Beatles song is Band On The Run. Me: It's not a Beatles song. Friend: Wot! That guy, that guy, Paul McCartney sings it right? Friend: Alright! That one is my favorite Beatle song. Actual conversation in the '80's. How about my old Philco 1938 SW tube Radio. And it still works! I remember sitting with my brothers little reel to reel player and taping the Kinks songs, before they would be issued, on late night radio stations, probably Radio Luxemburg. It could pick up stations in China, although I never knew what they were saying, it was just the thrill of listening to something live all the way on the other side of the world! Yep those were the days. You'll have to excuse the bad photograph. Glad to see that the radiogram still survives.